Clay Masters is a reporter for Iowa Public Radio and formerly for Harvest Public Media. His stories have appeared on NPR’s news magazines “Morning Edition” and “All Things Considered.” In addition to being a husband and father, Masters is a seasoned fly fisherman and studies the solo folk guitar style called American Primitivism. 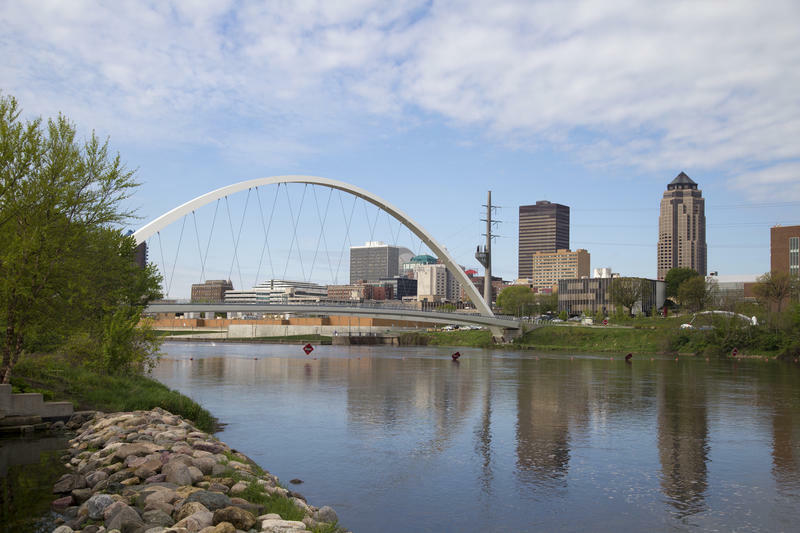 The Des Moines Water Works spent more than $2 million over two years scrubbing high levels of nitrates from the water that goes to more than 500,000 customers. 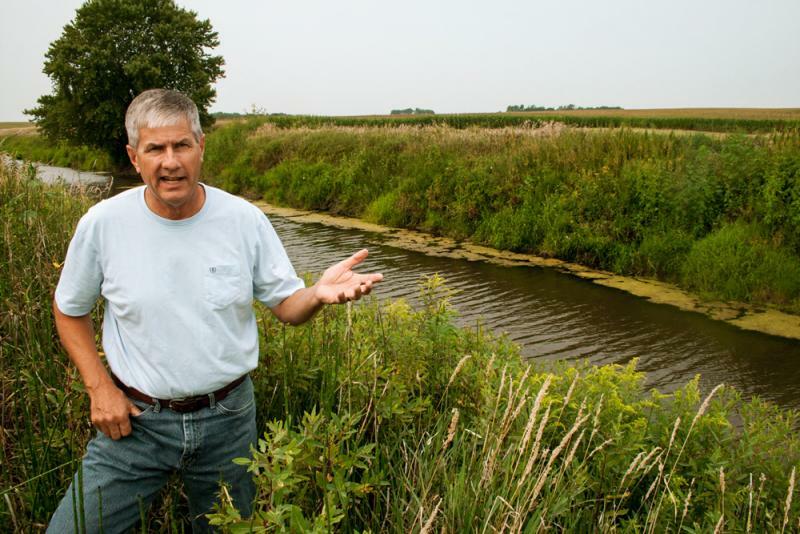 Cities like Des Moines that are surrounded by farmland worry the cost to treat water polluted by farm runoff is going to keep increasing. And the Trump administration already has rolled back some water rules and may have more in mind. Many conservatives pundits and lawmakers were incensed that President Donald Trump appeared to make a deal with Democrats to enshrine into law the Deferred Action for Childhood Arrivals program that shields many undocumented immigrants who were brought into the U.S. as children. To make matters worse for immigration hawks, Trump is also not requiring funding to build a wall along the Mexican border as a condition of the possible deal. 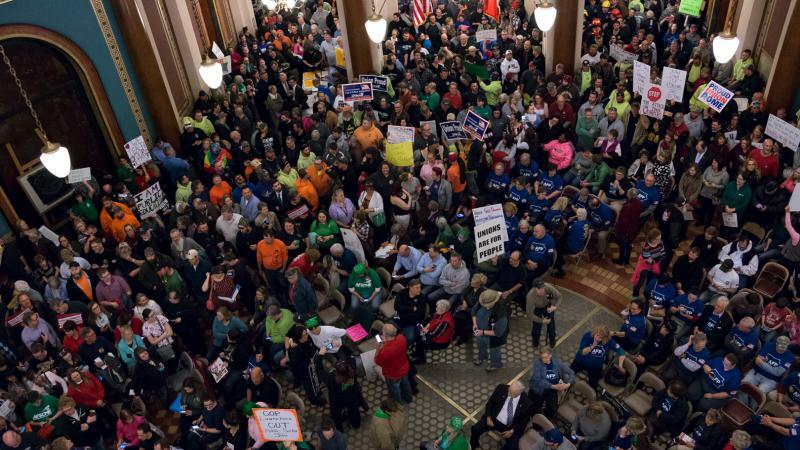 Lawmakers in Iowa began debating a bill Tuesday to dramatically change how public sector unions negotiate their contracts, part of a wave of legislation in statehouses across the country to roll back union rights. The bill, similar to a 2011 law in Wisconsin, is high on the state's legislative agenda and comes as Republicans control both chambers of the state Legislature and the governor's mansion for the first time in nearly 20 years. 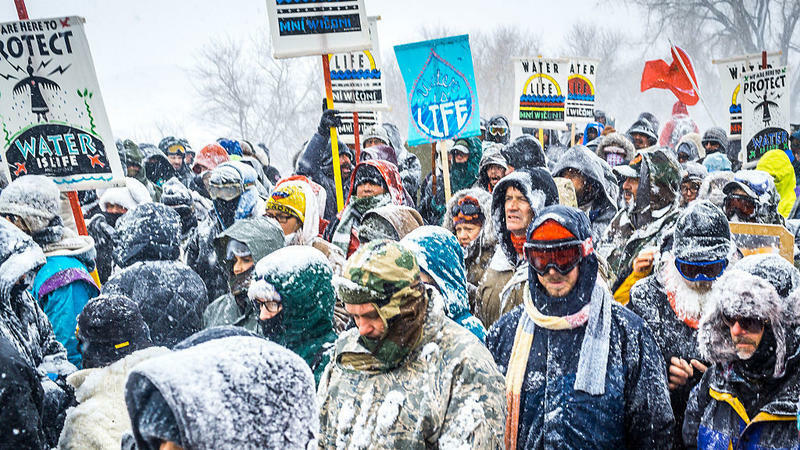 From the Black Lives Matter movement to environmentalists trying to stop new oil pipelines to the recent Women's March against President Trump, the past year has been filled with large, often spontaneous protests. Now the reaction to those protests is appearing in a number of Republican-controlled statehouses across the country, where lawmakers are introducing proposals to increase penalties for those who block roadways while protesting. 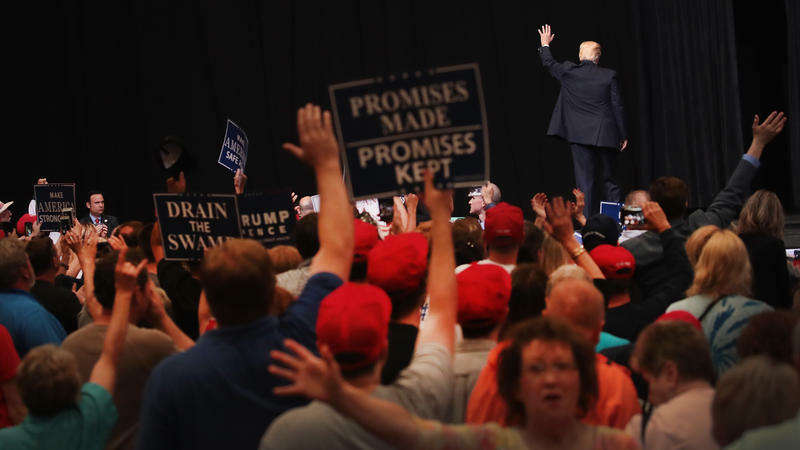 For decades, many presidential candidates campaigning in Iowa have made sure to offer their loud support for ethanol — the fuel made from corn. Ethanol is an important industry in Iowa. 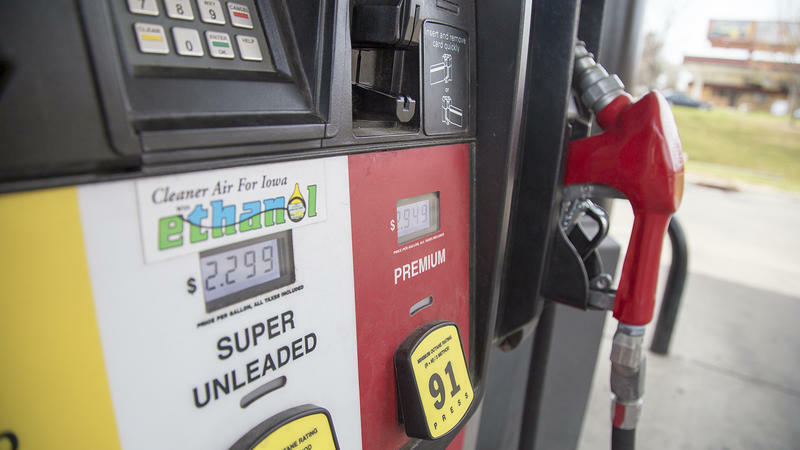 The state is the top producer of ethanol in the nation, accounting for 28 percent of national production, according to the U.S. Energy Information Administration. But this election cycle, ethanol is not the campaign force it once was. Take the contrast between George W. Bush's 2000 presidential campaign and the current campaign of his brother, Jeb Bush. 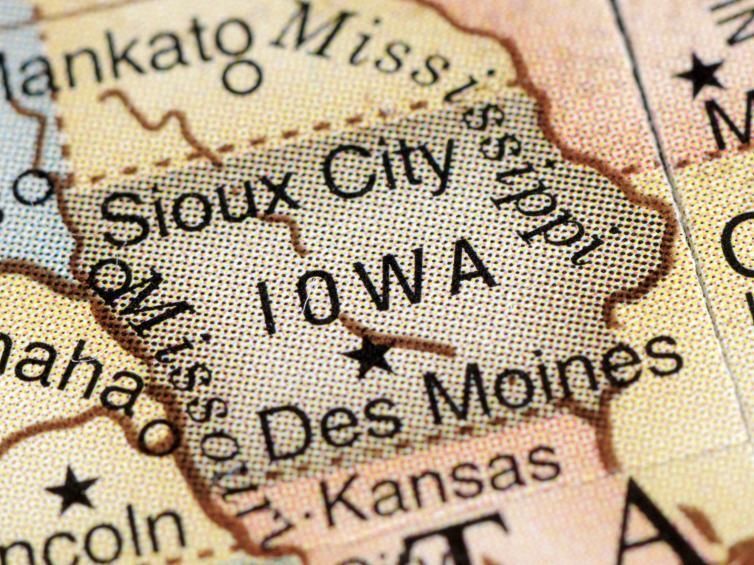 At the Central Iowa Shelter and Services in Des Moines, Iowa, health insurance navigator Andrea Pearce stood in a crowded dining hall on a recent day, shouting instructions on how residents can sign up for Medicaid. "If you do not have insurance and you want to enroll and you have an e-mail address where you know the password," she said, "come to the computer lab we will guide you through the application." Organic food is a hot market in the U.S.—the Organic Trade Association says that sales over the past five years have grown 35 percent. 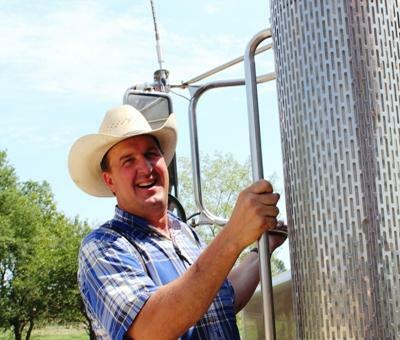 But there’s a problem in the supply chain – not enough organic grain. Iowa City librarian Jason Paulios pulls out his smartphone, enters his library-card number and begins downloading an album by local metal band Blizzard at Sea. "So it's extracting now," he says, eyes on the screen. "It's at about 90 percent." The download takes about five minutes to complete. Paulios says it's a great way to check out local music: You could be waiting for a concert to start, download an album by the band you're about to see and then listen to it on the way home. 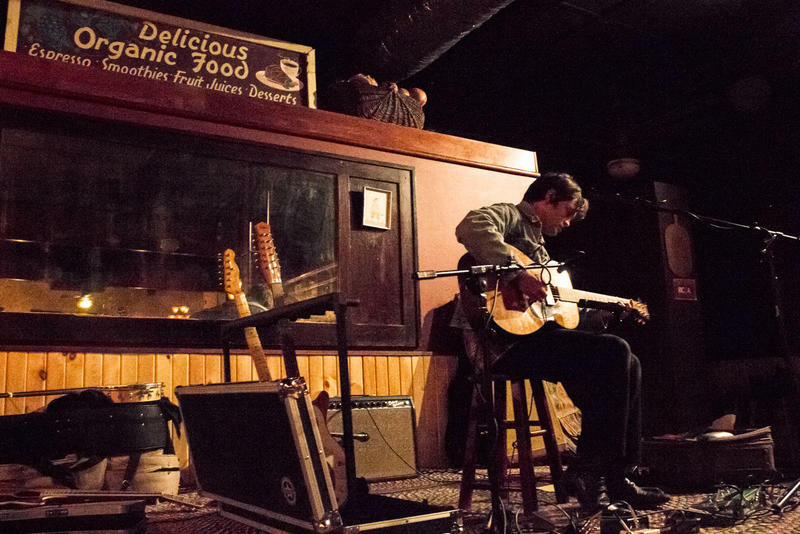 William Tyler takes the stage at the Trumpet Blossom Café, a vegan restaurant and bar in Iowa City. Surrounded by effects pedals for his guitar, he wears jeans and black cowboy boots, and his fingernails are about an inch long. 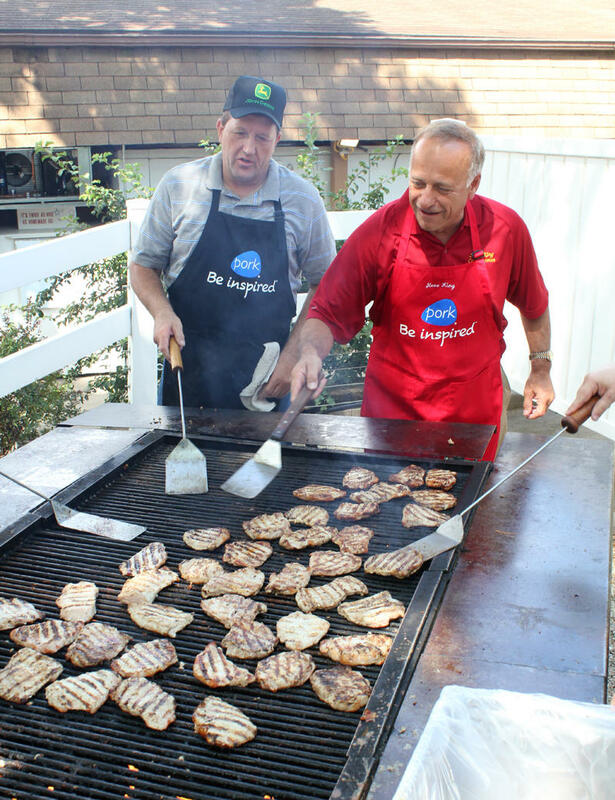 One of the country's toughest congressional races is in Iowa between Republican Rep. Steve King and the state's former first lady, Christie Vilsack. Iowa is losing a seat in the House after the election, due to redistricting. 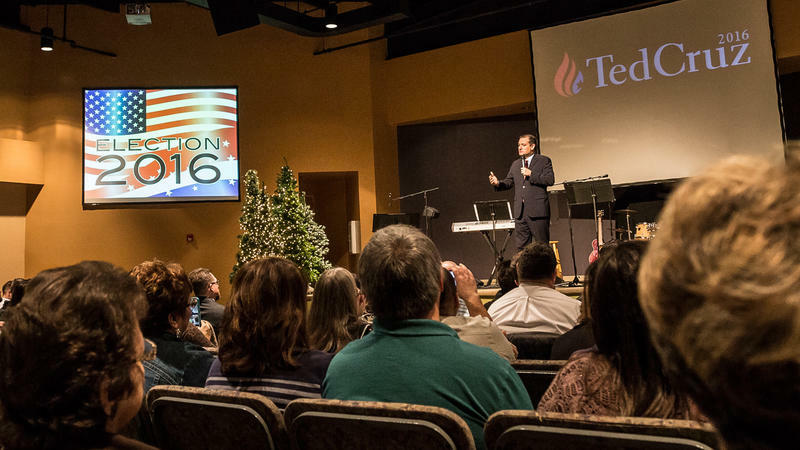 Now ultra-conservative King is facing a more moderate electorate as he runs in the newly redrawn 4th Congressional District against a political newcomer. What If Congress Doesn't Pass A Farm Bill? Roy Pralle is an 85-year-old retired farmer from Latimer, Iowa. He spends most afternoons playing cribbage with other retired farmers at Dudley's Corner, a diner attached to a gas station in north-central Iowa. The drought is beginning to really sink its teeth into the Midwest. 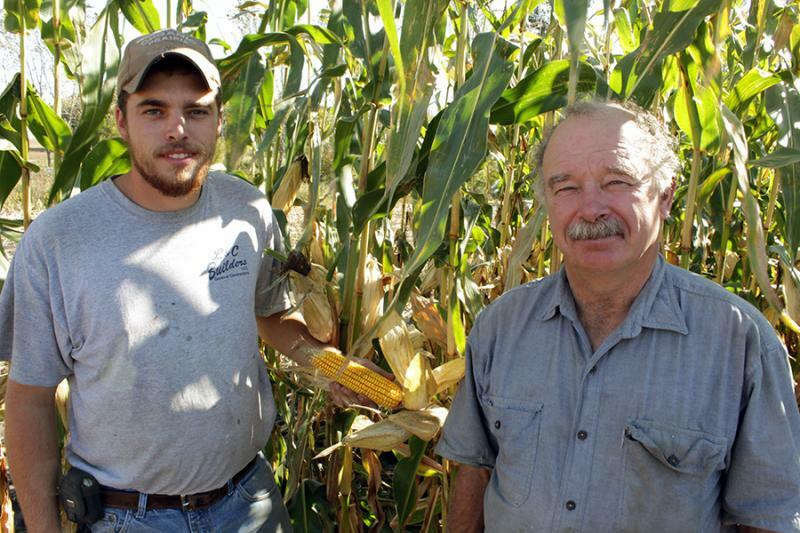 More than three-quarters of the nation's corn acres are in a drought zone. In Iowa, Illinois and Indiana, corn crops are burning up and its causing commodity prices to shoot up. Suburban residents are paying to water their lawns, but it isn't doing much good. 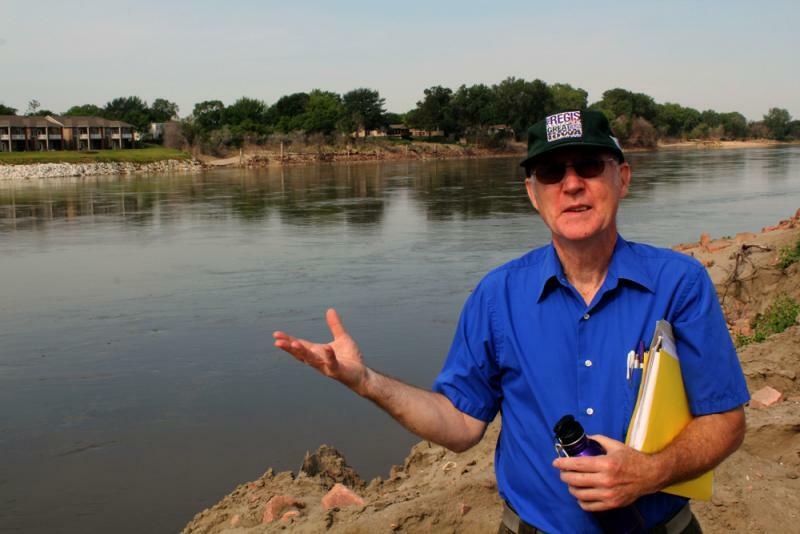 Along a vast stretch of the Missouri River, the floodwaters that ravished homes, businesses and farms last year are not a distant memory. Former Nebraska Gov. 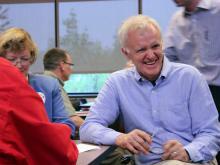 and two-term Sen. Bob Kerrey, who faces long odds in reclaiming the seat left open by retiring Democratic Sen. Ben Nelson, is in his home state trying to get his old job back. After a full of morning of shaking hands, smiling and trying to win over voters, Kerrey settles on lunch at the Taqueria Tijuana in south Omaha. After lunch, he takes off walking down 24th Street, telling his staffers to catch up with him. He says things are different now from when he first sought public office in 1982. You might think employees in ConAgra’s Information Technology department are all big-time techies or that they boast computer science degrees from prestigious universities. 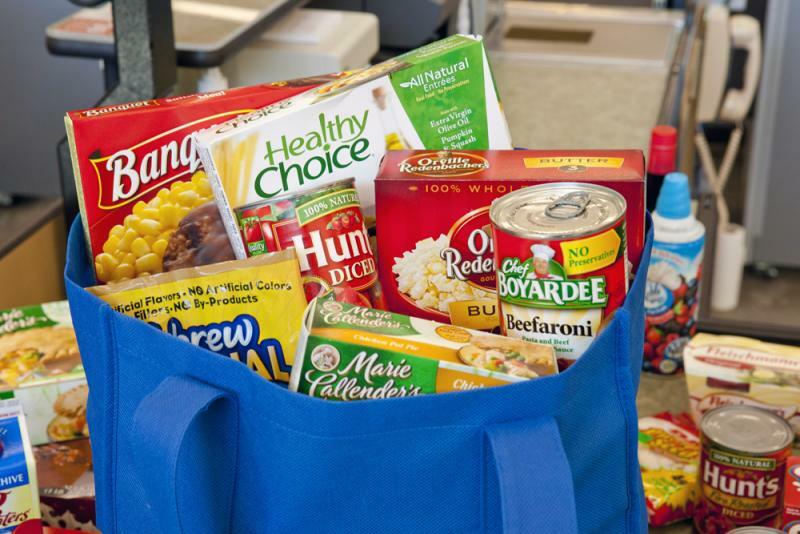 While some certainly do, ConAgra is one of many companies making hiring decisions that are a bit outside the box. A few years ago, the company re-vamped its IT intership program looking for more recent graduates with liberal arts degrees. IT departments are usually heavy on computer scientists and not on those who didn’t climb the traditional techie ladder. 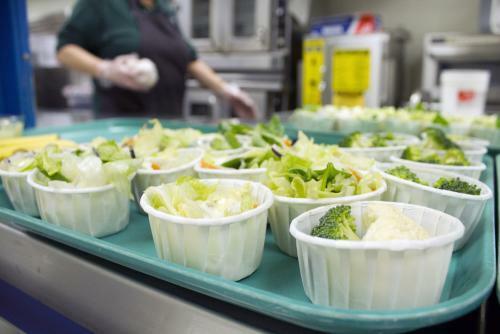 From Harvest Public Media: With more families depending on the National School Lunch Program to feed their children, school districts are gearing up to implement new nutrition guidelines being handed down by the federal government by early next year.